If you feel intimidated by the idea of metalwork jewelry, Just remember, it doesn't have to be complicated. You don't have to do lost wax casting, bezel setting or even soldering to create beautiful one-of-a-kind pieces. You can do that with simple metal fabrication, cutting metal, then smoothing and forming it to add beauty and a bit of your very own style. You can do it with a few very simple techniques. Most beginners need an experienced teacher to get them started; but if you don't have one in your area, you shouldn't let that stop you. It would be easier if you had at least a basic understanding of how to put the saw blade into the frame; but that's the thing about being a beginner, you don't know the basics. Still, you can accomplish anything with instructions, dedication, creative inspiration, and lots of practice. I've taught many jewelry students basic sawing techniques and encountered a ton of colorful excuses as to why they should not attempt to learn the new skill. 'I might cut myself' is the standard excuse. A 76-year old student said, 'I'm too old' but she tried it anyway. 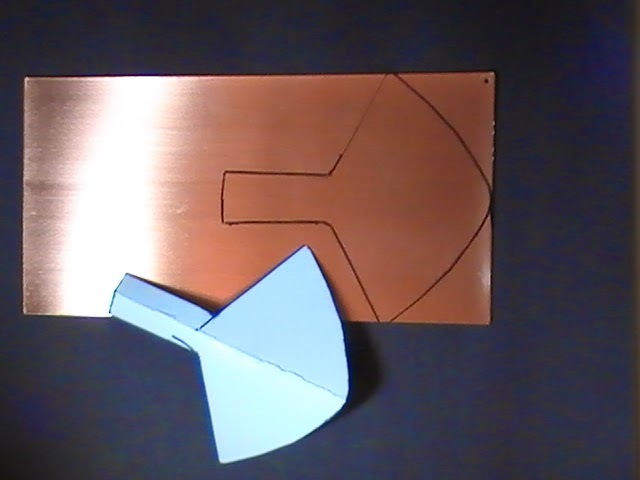 And, of course, some students were honest enough to admit that they just didn't want to cut metal with a saw. They continued making wire jewelry and were fine with that. There may be lots of valid reason not to try even basic metalwork, but there are far more reasons to learn this exciting skill. You can take it one step at a time and refine your skills. When you're ready, you can show the world what you can do. With even the most rudimentary metalwork skills, you can create pieces that are yours from start to finish, little pieces of yourself with no beads, no head pins, nothing created by anyone else. To sell your work in a world filled with jewelry makers, you need to stand out, and metalwork sets your body of work apart from the rest. It can push you to new heights of creativity and help you release your inner artist. Once you get over any saw-anxiety and learn how to put the blade into the saw frame‒some say that's the hardest part‒the next challenge is finding an idea, something besides cutting out basic geometric shapes like circles, which is where most people start. Fun Fact: Circles are one of the most difficult shapes to cut with a saw. I have a theory about jewelry-making themes. It will work for you whether you make wire jewelry, metal, beadwork, or whatever techniques you prefer. Essentially it's about finding the concept that excites you and building your jewelry creation around on it. My "theme" theory may sound a bit quirky at first, but using your very own theme can be one key to metalwork success. With themes to fall back on, the ideas keep coming. 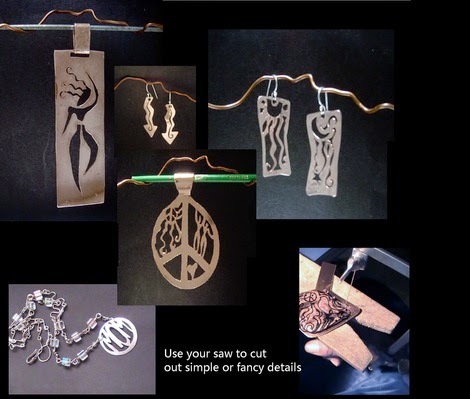 See 6 Reasons Why You Need A Jewelry-Making Theme. 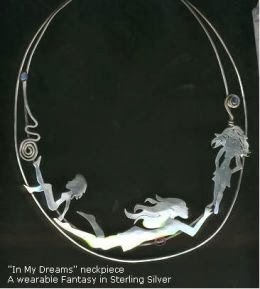 You won't be able to create everything you see, but advance skill jewelry magazines offer inspiration as well as information on technique execution. Lapidary Journal and Metalsmith are excellent magazines to scan for ideas on how your body of work can grow using basic metal work skills. If you can't find a hard copy, check the online magazine versions. Jewelry designs don't come when you summon them. They pop into your head when you're driving down the street, or talking on the phone... or sometimes when you're driving down the street while talking on the phone. Ideas come in the middle of the night or first thing in the morning when you wake up. So carry a little book, a design diary, to capture your ideas when they come to you. A quick sketch will do. Your diary doesn't have to be fancy, just a simple little notebook or pocket-sized drawing pad that's small enough to carry wherever you go. With a design diary, when you sit down to work, you will always have an endless stream of ideas. Many bead stores don't sell the basic tools necessary for metal work. Some Michael's stores started stocking them in recent years. If you can't find a saw locally, check jewelry making sites like RioGrande.com. You can even find jewelry tools on Amazon. 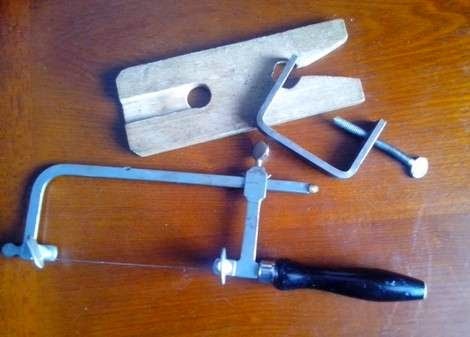 You'll find thousands of dollars worth of available metalwork tools; but, until you're certain that cutting metal is your thing, buy only the basics. Saw blades, these vary depending on the thickness of the metal you wish to cut, but get the best quality you can afford for the best cutting results. Sand it with extra fine sandpaper‒1000 grit or higher. Wash it with dish detergent, then rinse and dry it thoroughly. Wipe it off with alcohol, then wipe away the residue so it won't be flammable. Lots of students see metalwork as soldering or casting. 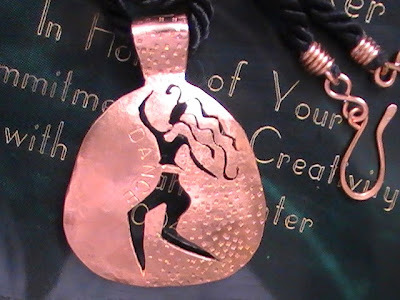 You don't have to solder or cast to create metal designs that are creative and marketable. For non-soldered jewelry, you can transfer your design to metal, cut it out, then stamp on a bit of texture or words. You may purchase design stamps from a jewelry tools supplier, use nails or screws, or add texture with a simple hammer. Use cardstock to create a reusable template in the shape of your choice. Trace it onto your metal with an ultra-thin felt tip marker. Draw a design on tracing paper, parchment paper, or other thin paper stock. Glue-stick it to your metal. When it's dry use the pattern as your cutting guide. Use your fine tip marker to draw your design freehand. Sawing can be annoying until you learn how to do it right and get comfortable with the technique. You'll break blades. You'll get frustrated. You'll want to quit, unto you start seeing the fabulous results. The only way to overcome that newbie awkward phase is to practice, practice, practice. Here are a few tips to get you started. Clamp your V-slot board to the work table, firmly so it doesn't wiggle when you saw. Make sure your blade is in place correctly with the teeth pointing away from the saw throat and downward. Hold the blade up to the light to see the teeth or run your fingers along the edge to feel the position. Gently Please! Adjust the blade tension so it fits tautly in place. Sit comfortably. People sit all kinds of ways when they saw, but try positioning your chair to the right of the V-slot board so you can move your sawing hand up and down without bumping it into your thigh or knee. If this position doesn't work for you, experiment with whatever is comfortable. If your hand bumps into your thigh, your sawing will feel awkward. Start with an upward stroke. Many people find this easier for making the first cut. Find a rhythm. You may have noticed how every creative thing you do has a rhythm, the way you coil the wire, the way you strike your hammer, the way you crochet or knit. Like dancing. When you saw, find a smooth, even rhythm, and your cutting will go much more easily. Use lubricant frequently to keep your sawing smooth and easy. If you don't have lubricant, try a candle or beeswax. Don't force it. Don't strong-arm your saw. Let the blades do the work. Move your saw up and down. When you need to turn a corner, keep your up-and-down rhythm going while gradually turning the metal piece to its new direction. My blade isn't taut enough. Ease up, you're pushing me a bit too hard. Now that you know a few of the basics, get your saw and practice, practice, practice.